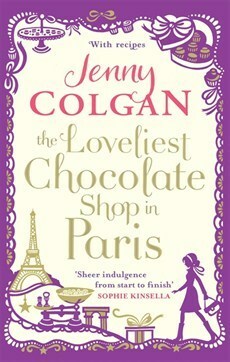 Jenny Colgan is one of my favourite authors at the moment, and I often refer to her as the 'Queen of Chick Lit'. I am slowly making my way through all of her books and The Loveliest Chocolate Shop in Paris is the latest one I have read. As a chocoholic I knew I was going to love this book, before even opening the first page and I was slightly worried that I was going to try and eat it, if the descriptions of food in her other books was anything to go by. 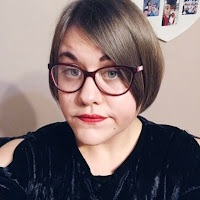 At the start we meet Anna Trent, who after having a disastrous accident at the chocolate factory she worked at, contracting an infection in hospital and loosing two toes reconnects with her former French teacher, Claire, who is slowly dying of terminal cancer. After passing the time in hospital reteaching Anna French. Claire offers her the chance of a lifetime - the chance to work in Paris with master chocolatier and first love, Thierry Girard. Although slightly sceptical at first, Anna soon arrives in Paris. We then go on a journey through her time in Paris, from arriving at her apartment and meeting her eccentric flatmate Sami, to learning to craft chocolate from scratch, to falling in love and discovering things about herself that she never knew before. Anna's story is all well and good, but what really kept me hooked was Claire's story. The book is split into parts - Anna's present day life and Claire's past from when she was an au pair for her mothers penpal Madame Lagarde. I loved reading about how Claire met Thierry, and how for one summer she felt whole. It was so captivating and had me grinning like a Cheshire cat throughout (I really am a sucker for a good romance). The thing I really loved about this book was the descriptions of both Paris and Chocolate. Jenny Colgan is known for her vivid, inspiring descriptions and it certainly came across in this instance. Her descriptions of Paris were breathtaking and although I have never been there myself, it felt like I was standing there in the middle of it, taking in all the sights and sounds. But, the thing that I loved the most was her mouthwatering descriptions of the food, especially chocolate. As I read, I was becoming hungrier and hungrier and like I said at the start, it was hard not to just eat the book. I swear I heard my stomach growl a few times. I would recommend this book to anyone, as it's a great, heart-warming, captivating read and can be enjoyed by anyone of any age. Also, if you are a chocolate lover then you will most definitely want to check it out, trust me!